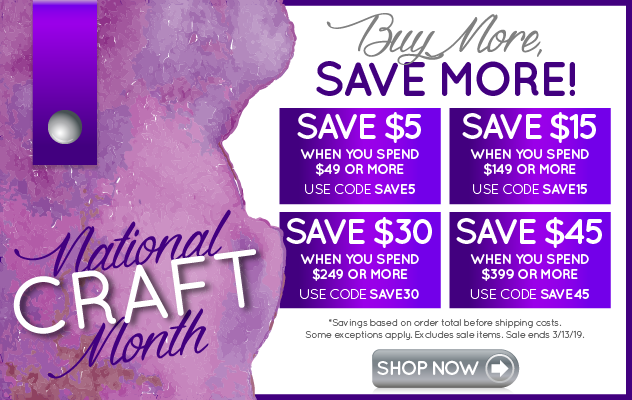 I am participating in a Dollar Store Challenge this month with other craft bloggers. The project I am making is made from items I found at my local Dollar Tree. I recently saw a video making a similar project. I think it was on Facebook but I can't remember the source. 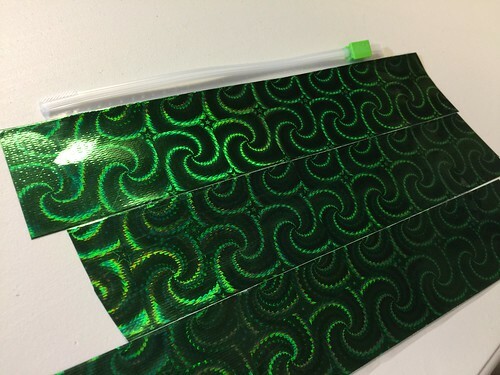 I wanted to try this Dollar Store Craft because I think it might be a great project for kids. After making the storage pocket I was surprised at how sturdy it was given the materials I used. 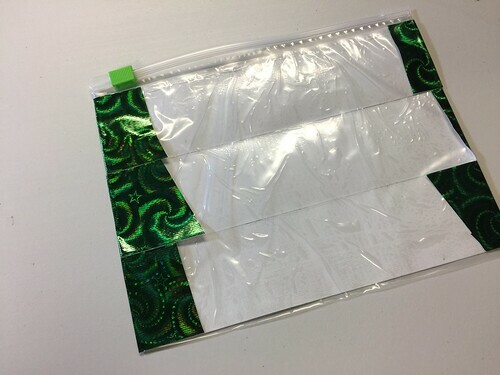 Begin by laying out a zipper-topped baggie on a hard surface that you can remove the tape from easily. 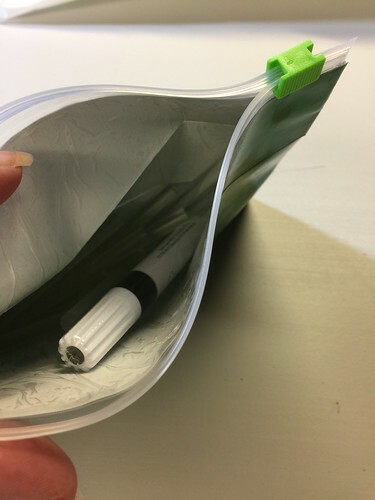 Before applying the tape, make sure the slider on your bag works well. I'd hate to make this entire project and find I don't have a zipper that works well. 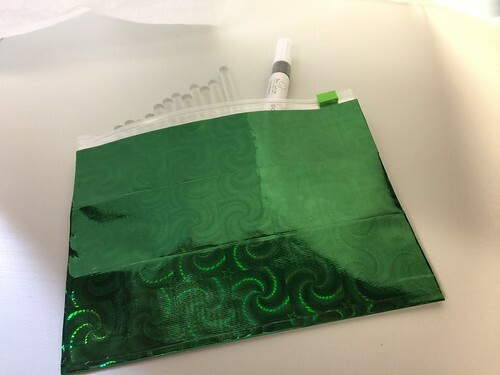 Cover the baggie with duct tape. 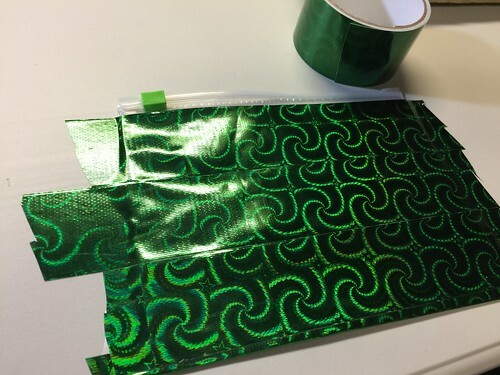 If you have a distinct pattern in your duct tape, take time to align the design when you add each strip. My tape was a bit off from the baggy along the bottom edge. So I added another strip of tape and folded it over to the back side. This also gave the bottom edge a bit more strength. lift the pocket off the table surface and flip it over. 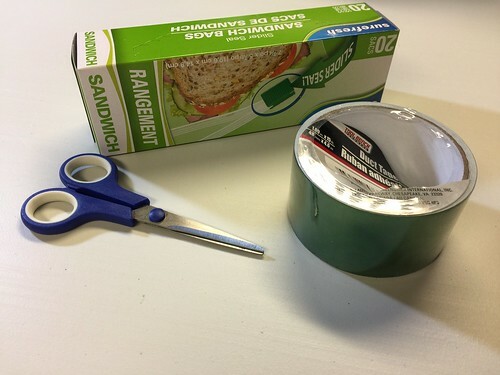 Fold the excess tape over to the back side. 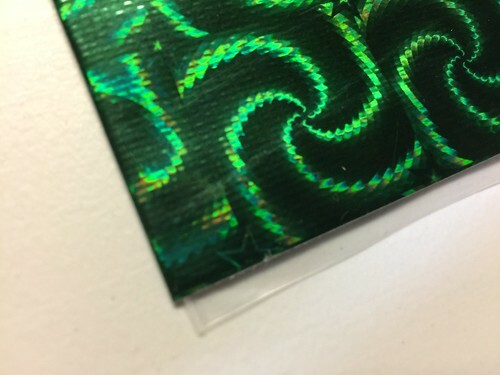 This shows the bottom tape folded over the bottom edge. 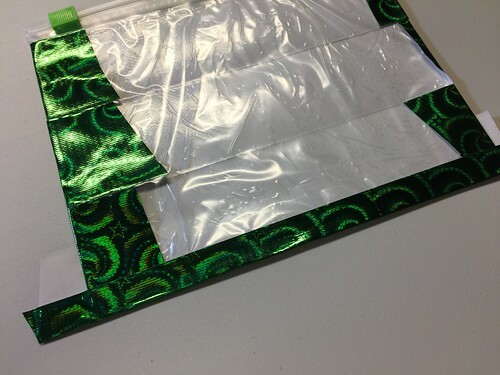 Now cover the back side with tape, taking care to align the strips. Leave the excess off the sides, you will cut this off after all strips are added. The pocket is more sturdy then I expected. This photo shows the inside of the pocket. 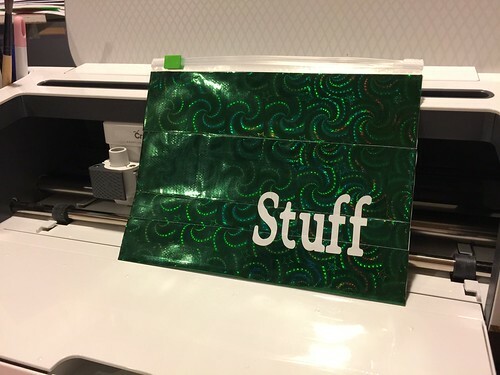 I decided I would like to add a word on the front of my storage pocket. 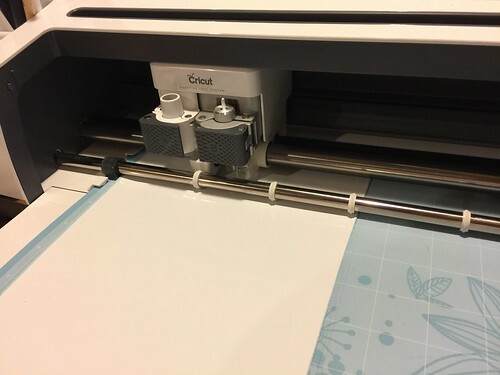 I used white vinyl and my Cricut Maker to cut it out. I set the whole thing up using my iPhone and sent it to the Cricut Maker - this was really easy to do without having to use my computer. I applied the vinyl to the front of the pocket. Now that it is done, I think you could hole punch the bottom edge and actually use it inside a school 3-ring binder. This was a fun and fast project. And, it cost less than $2 because I have baggies and duct tape left over from my Dollar Tree purchase. Take some time and visit all the participants in the Dollar Store September Challenge.